The Hebrew Order of David International is an offshoot of a Jewish brotherhood which originated in England in 1896 as the Hebrew Order of Druids. In 1904 the pioneers of the Order under the leadership of Wor Bro Joseph Distiller formed a branch of the Hebrew Order of Druids in Johannesburg. They did so at the time of the conclusion of the South African War of 1899-1902. Local economic, social and other conditions were on the whole not very alluring to the immigrant Jews, especially those from Eastern Europe. This period witnessed not only a general re-organisation of Jewish life here, but also the urgent need for newly arrived Jews to seek a closer companionship among their own people, to improve their economic postion and generally to re-adjust themselves in strange and none too friendly surroundings. Wor Bro Joseph Distiller was the founder of the Order in South Africa.He came to this country from London shortly after the close of the South African War. In Loondon he had been associated with a movement similar to the one he organised in Johannesburg. He was an ardent and enthusiastic worker for the Order throughout his life, and was known as a determined, constructive and good hearted man. Among Wor Bro Distillers closest collaborators in the growth of the Order was Wor Bro Louis Faiga, who had been connected with the movement since the formation of the Dr Herzl Lodge in 1904. OOnly a few years passed before the Order began to extend its activities to other areas on the Reef. A Lodge named after the Hon Max Langermann, MLC, one of the most distinguished Jews in South Africa of his generation was established in Germiston in November 1906, by four prominent officials of the Dr Herzl Lodge, Bros J Distiller, L Faiga, S Lowenberg and A Gabbaholz. On The 21st April 1907, prior to the consecration of the new Lodge, 45 new candidates were intiated by members of the Dr Herzl Lodge. Ath the time the Max Langermann Lodge was getting into its stride the London Jewish Chronicle of the 5th January, 1907 reported that a dispensation had been granted to a new branch of the Hebrew Order of Druids at Krugersdorp. It seems that it was in 1907 and not 1910 as frequently assumed, that the Krugersdorp Lodge was consecrated later known as the David Ben Gurion Lodge after it was reconsecrated in 1948. It was decided in 1910 that the H O D would act entirely independently of its English counterpart, and it was not long after that the Grand Lodge was formed. It was no easy task to persuade the leaders of the Order to agree to the suggested change, in fact it took some years before the proposal was carried and put into effect. On November 16, 1919, a final general meeting was held at Germiston to which a delegation from Grand Lodge consisting of the Grand President, Deputy Grand President and Wor Bro Joseph Distiller were invited to express their dissenting views. A vote was taken and out of 79 brethren present 75 were in favour of the change. Thereafter, opposition from other centres was gradually worn down and at the end of 1921, we find from printed records, that to its greater glory the Order assumed the rightful title of the Hebrew Order of David. The first Conference was held in Johannesburg in 1924 and was presided over by the Grand President, Wor Bro Joseph Distiller and was attended by 80 delegates. One of the resolutions was that the Order start a building fund for the purpose of erecting a hall in Johannesburg to meet its needs. A further illustration of the advances made by the Order was the establishment of many Lodges in different parts of the then Union of South Africa. In addition to carrying out faithfully the tasks for which the Order had been founded, it has also encouraged in recent years a more active social life among its members chiefly through the medium of sport and holding of social and cultural functions. After the Friendly Societies Act passed its third reading in the South African Parliament the Grand Executive decided to recommend to the Biennial Conference in 1955 that the Hebrew Order of David become a fraternal organisation and that all benefits be dispensed with. This recommendation was passed and the constitution was amended accordingly. The 1960s witnessed a great deal of heart searching to find a real purpose for the Hebrew Order of David. The Grand Executive spent many hours in discussion trying to find direction and a policy as times were rapidly changing. As all material benefits had been abolished and fraternity had to be sufficient in itself, it was felt that the acquisition of a Home for the Order would add to its prestige and prove to be a rallying factor for the whole Order as well. Many felt that the Order should shoulder the ideals of Judaism and to further greater knowledge of our faith amongst our brethren. Many brethren were among the unaffiliated and belonged neither to the Orthodox or Reform organisations, but sought some form of affiliation with Jews through the Hebrew Order of David. The political unrest that manifested itself in the Vaal Triangle in the 1960s, soon spread to the rest of South Africa and the beginning of the emigration phenomenon started which was to have a negative impact on the Order as well as all community based organisations. In 1965 a commission was set up to discuss a National project in which all Lodges of the Order would participate. As a result it was decided to acquire a Home for the Order as a No. 1 priority. In 1968 premises were viewed at a property in Orchards, Johannesburg which was then the Italian Bowling Club and in a short space of time this property was purchased by the Order by means of monies raised by the Lodges and individual brethren through the HOD Building Fund Drive. The foundation stones were laid on the 24th June 1973 and our complex was officially opened on the 3rd November 1974. The complex houses two Temples, an Executive Board Room, two Banquet Halls and office facilities, with plenty of parking space. 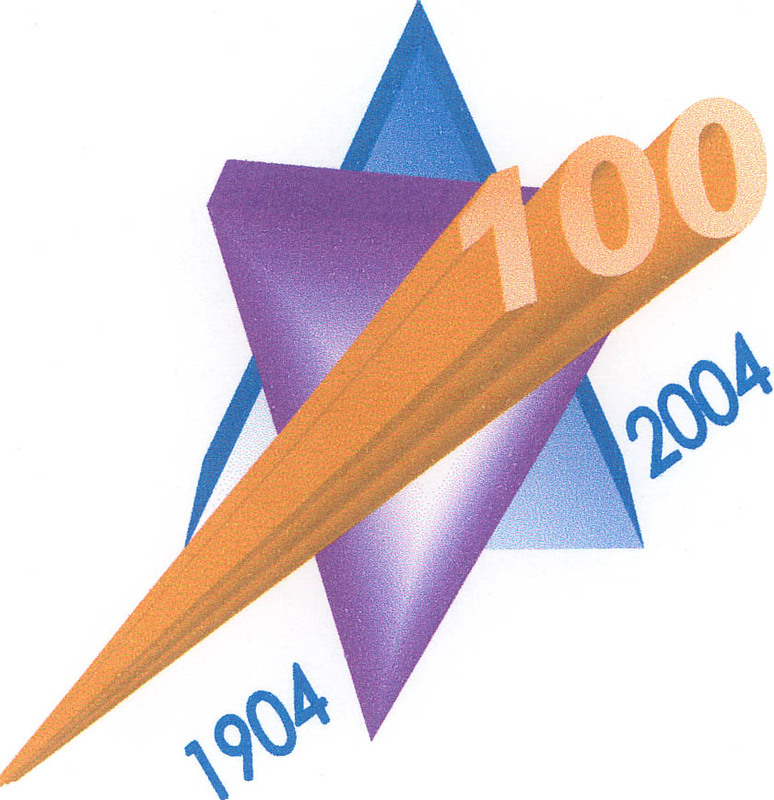 The Hebrew Order of David International is now celebrating its 98th year of existence. It is no longer purely a national organisation in the Republic of South Africa, but has extended its ideals and virtues in all of its aspects to Lodges which have been established outside of South Africa in such countries as Zimbabwe, Australia, Israel, the United Kingdom and the United States of America. Due to the substantial number of brethren and our Jewish community who have emigrated, the Order is now known as the Hebrew Order of David International with prospects of further Lodges being established in the USA. Canada, Britain and New Zealand. The Hebrew Order of David International in the Republic of South Africa have Lodges situated in Johannesburg, Pretoria, Cape Town, Durban, East London, Port Elizabeth, Benoni, Brakpan and Harare, Zimbabwe. We also have Lodges in Raanana, Netanya and Jerusalem in Israel, three Lodges in London, U.K one in Perth, Australia and one in Atlanta, United States of America. The Order in general has been outstanding in the sphere of benevolence and our members are committed to and practice the ideals of the Order, which are Peace, Unity, Fraternity and Love. The motto of the Order Veahavtah, Lereachah, Kamochah Love Thy Neighbour as Thyself is practised by all members of our Order throughout the world. The Order provides an atmosphere of unity, because its membership is open to Jewish males regardless of their interpretation of Judaism, Jewish ideals and Jewish life, providing they are married in accordance with Jewish law. Moreover, the very atmosphere in a Lodge of the Order engenders opportunities for the propagation of peace, fraternity and love amongst all its members. But these high and noble teachings must go beyond the confines of the Lodge. It is not enough to profess these high ideals, hence members are encouraged to endeavour live by them. This has been achieved in various ways. Hebrew Order of David International members serve on many important communal and congregational bodies throughout the world. They endeavour carry the spirit of the ideals of our Order into the committees of the organisations to which they belong. The members of the Order through their many endeavours as individuals have been responsible for a complete revolution and rejuvenation of many aspects of Jewish life. The Hebrew Order of David has always strived, throughout its history, for unity in the Jewish community wherever it may be. Unfortunately, a great mass of the Jewish community is composed of unaffiliated Jews, who neither contribute to nor associate themselves with the community and most definitely do not share in any of its responsibilities. It is our endeavour to get every possible Jewish male who qualifies to join our Order, to inspire them to be active in our ideals, and encourage them to be associated with these ideals and to assist the Jewish community in general. It is our hope that it will, in an ever-growing measure, be the exemplar of the Orders ideals of fraternity and companionship, in fact a dedicated brotherhood, giving allegiance to the undying and eternal ideals of that faith which is every Jews proud heritage. Over the years, the efforts of our Lodges, through such projects as premieres, live stage and film shows, Horse race days, Bingo, Golf days, Donkey derbies, Cycle tours etc have been undertaken most successfully, all supported by our brethren and their families through their time, effort and personal involvement and substantial financial assistance. Locally, our latest major project has been to assist Our Parents Home financially. purchase items required for Pesach. the Hebrew Order of David.